Cruise passengers arriving in Barbados have many options open to them when it comes to transport from the cruise terminal. You may just be in Barbados for the day, or this may be your final destination for you to disembark and continue to your accommodation. In either case, we have outlined all the options open to you when you leave the cruise terminal building. If you are just in Barbados for a day trip, then you may want to go sightseeing or shopping in Barbados. As the cruise terminal building is right in the heart of the capital of Barbados, Bridgetown, a lot of passengers decide to walk from the terminal building to the Pelican Craft Village. Here you will find a delightful complex with arts and crafts for sale, which make ideal gifts to take home and provide lovely souvenirs of your trip to Barbados. It is also about a 10-minute walk into Broad Street where you will find a wide variety of duty free shops selling the latest in designer goods at a fraction of the usual cost. 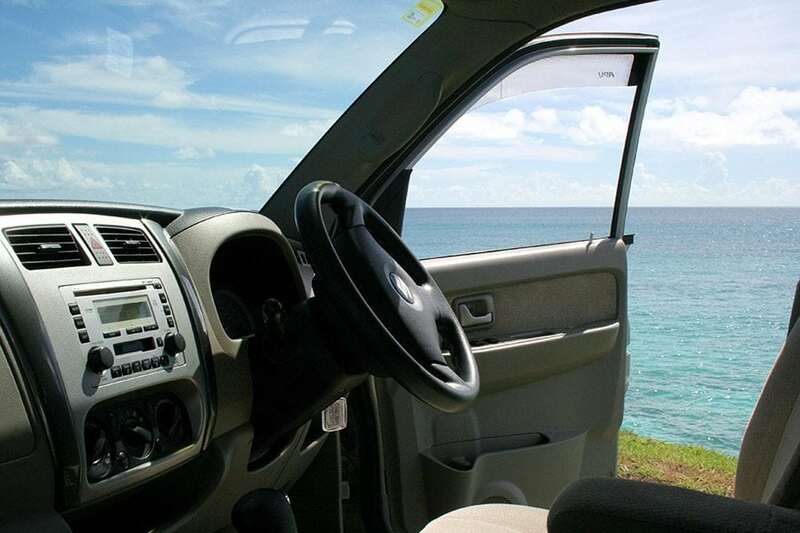 If you don’t want to go shopping then you could organize to take a tour of Barbados, as there are many companies offering this service either by 4×4, which will take you off road and let you see parts of Barbados that are only accessible in this type of vehicle. Or you can take a tour of Barbados in a mini bus or coach to take in many sightseeing options. There are many suitable Barbados Tour Operators who are available to you; if you book these in advance then the tour operator will be waiting for you at the Cruise Terminal Building. If you haven’t arranged anything prior to arrival then you will find taxi’s waiting outside who will happily take you around the island. You can expect to pay from $75US for a 3-hour tour with a taxi. If your stay in Barbados is more than one day and you have now left the cruise ship, then you will want to head to your accommodation to drop off your luggage and depending on where you are staying will determine the type of transport options open to you. If you are lucky enough to be staying at the Sandy Lane Hotel, then a Rolls Royce Bentley will be waiting to whisk you away. A representative from the hotel will be waiting for you with your name on a board. If you are staying in a villa then a luxury vehicle such as a Mercedes will take you on; again a representative will be waiting for you with your name on a board. Or maybe you have booked a car rental in Barbados to meet you at the Cruise Terminal, in which case a representative will meet you to complete the necessary paperwork to be able to drive in Barbados; so be sure you have your full driving license from home ready. If none of the above option applies to you, then you can just take a taxi, as there are plenty waiting at the entrance and they will take you to where you are staying.